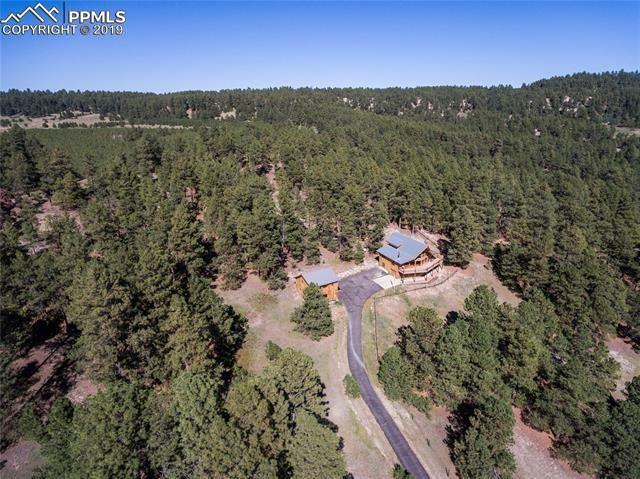 Rare and sought after Bijou Basin property with 9.56 acres at the end of a cul-de-sac featuring rock outcroppings and gorgeous views! Custom Lindal cedar home tucked in towering pines against a hillside with a 690 square foot carriage house apartment. Long private asphalt driveway to the home. Zoned for horses. No HOA or covenants.